Other than the love and compassion that our parents have given us since we were born, the main reason why babies survive and grow up to be strong without real food is because of the milk that contains a wide assortment of minerals and vitamins that the body finds essential. Atop of those nutrients is calcium which has the important role of firming up the bones so that the kid can run around without breaking anything. 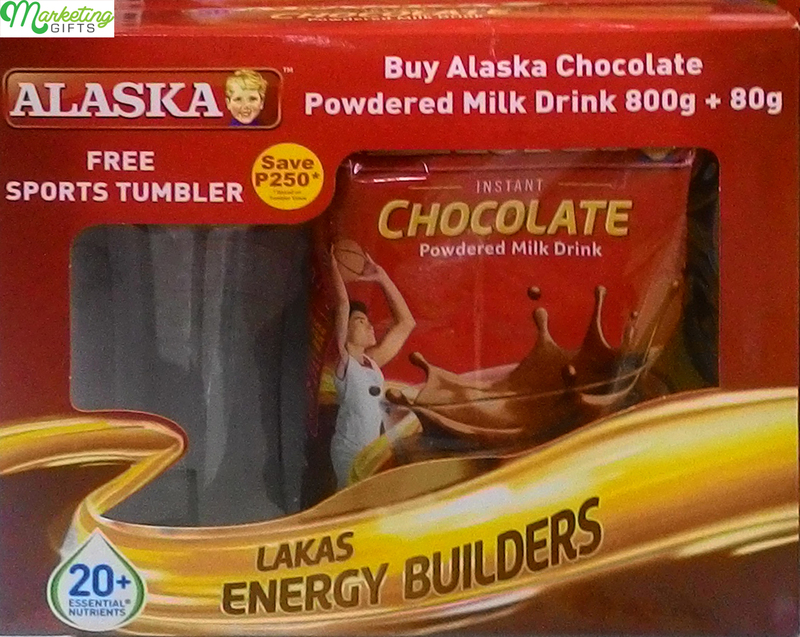 The young athletes need it a lot too, that’s why the folks have to give them an Alaska tumbler filled with milk every practice game. Affordable. If you intend to buy one for your child, know that a durable tumbler can cost anywhere from 10 to 20 dollars. But because this is an in-pack promotion from the brand, you can take the item home for free. Trustworthy. Alaska is a respectable company in the Philippines, and many parents personally like their reasonably priced and reliable products. The rapport that they have built with the clients can therefore make the free tumbler wanted. Available. Tumblers are not disposable like the water bottles you get from the stores. It can also be replenished with beverages apart from milk, that’s why it hold a great potential as a gift with purchase. In order to understand how you should market your business, see some advertising strategies at the MarketingGifts blog.